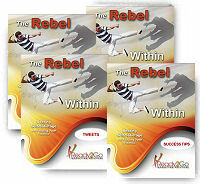 Success Tips: The Rebel Within - Beating Self-Sabotage and Reaching Your Potential from Ready2Go Marketing Solutions, Inc. This, of course, simply paraphrases a scene from the children’s movie “The Croods,” but it holds profound truth for us all. Inside your mind lives the voice of a protective authority figure who wants you to play it safe. You also have an adventurous champion who wants you to go for it. The difference between your life in a dark, musty cave and your life in a lush island paradise is your willingness to keep moving forward. Choose To Be Successful - Whatever dream you want to pursue, you have to choose it first. Recognize that you have a choice in all things, and choose the option that feels the most like success…then pour every ounce of energy you have into it. Take Bold Action - Just go. Start running. Move boldly in the direction of your dreams, whatever that means to you. Stop preparing…just start, and you can course-correct along the way. Turn A Deaf Ear to Discouragement - Family and friends are great at providing you with unneeded, discouraging advice. 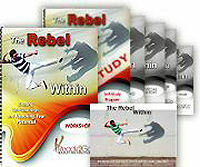 They have many reasons why your vision is foolish, and they will rattle off a list of your shortcomings if you let them. Don’t let them. Don’t listen. Stay focused on your goal. 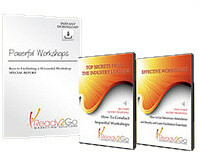 You are capable of achieving massive success, regardless of your background. You could even find yourself living in paradise. In order to do so, though, you must overpower your inner critic and keep moving forward. I promise, the rewards far outweigh the risks.